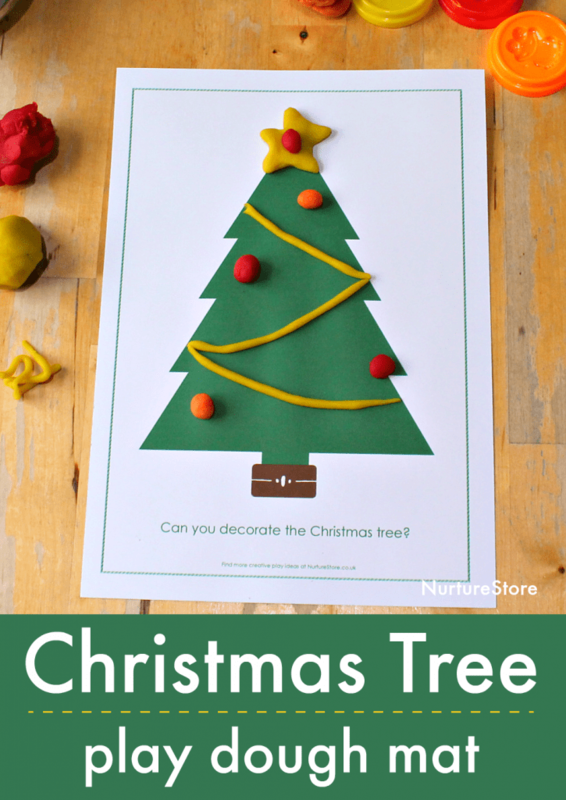 Print the Christmas tree play dough mat and set it out with a selection of play dough colours. Invite your children to decorate the tree. They can roll balls of play dough to make baubles, and ‘sausages’ to make tinsel. You can add in small cookie cutters if you have them, to stamp out circles and stars. Maybe make some presents wrapped with bows to go under your tree too. :: and 2 tablespoons cream of tartar. Boil the kettle and pour 1 1/2 cups of the water into your mixture, along with any food colouring. 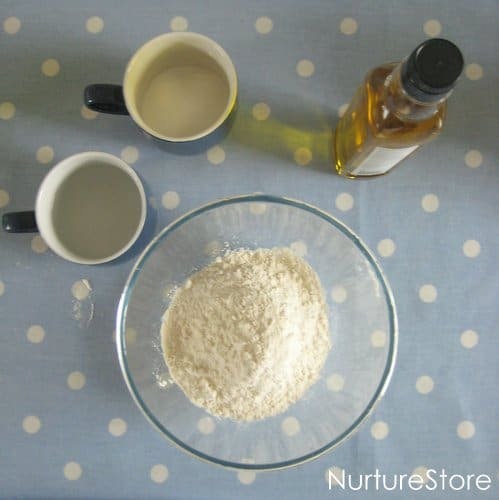 Mix and knead to form a dough, and then you are ready to play. If you’d like to make a special Christmas play dough recipe you can find a Christmas-spice play dough recipe here and a gingerbread play dough one here. The play dough mat also works perfectly as an invitation to create art. 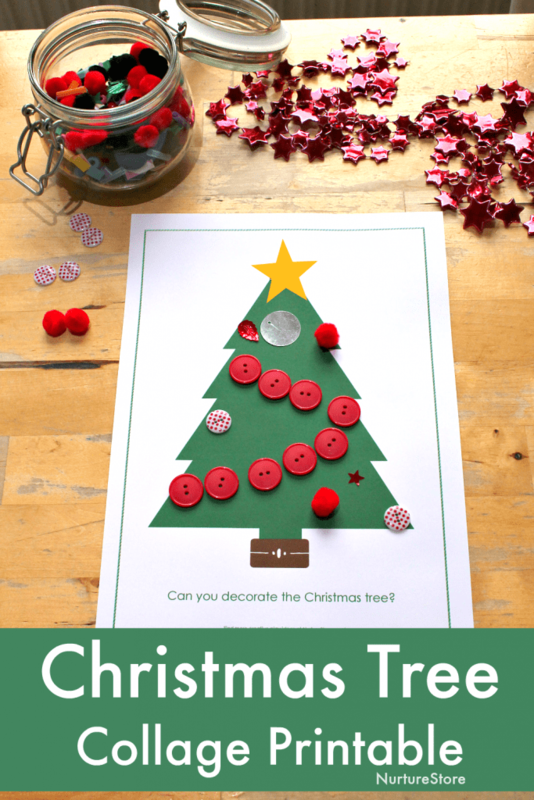 Set out the Christmas tree printable with glue and a selection of collage materials such as buttons, pompoms, foil shapes, and sequins. Invite your children to explore the materials and use them to make a mixed-media decorated tree.